The Lakely is a restaurant, bar, and a venue. A place to gather, hang, and absorb the culture. A place to feel at home whether you’re a local, a traveler, or something in between. The Lakely boasts a locally-sourced, seasonal menu created by critically acclaimed Chef Nathan Berg. We serve casual Midwest modern comfort foods, including our famous Koldtbord, from open until bar close. Behind the bar we feature a cleverly curated list of craft cocktails and local brews on tap and in bottles. 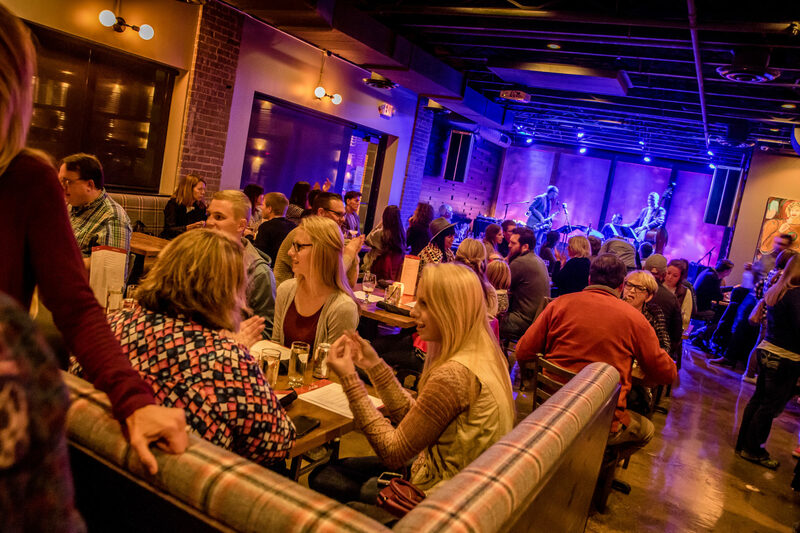 Evenings are reserved for our signature stage hosting local and touring jazz and other live music. Our generous courtyard patio has outdoor lounge seating, high-top tables, two fire pits, a yard game lawn, and more. The Lakely is currently only available for private lunch events. To book the Lakely for a lunch event, visit the Private Events page. The Lakely generally does not take reservations, except in the case of special events. Tables are filled on a first come first served basis. If there’s a short wait, guests are welcome to get a drink and hang out at the bar or in a number of comfortable spaces throughout the hotel until their table is ready.